While all eyes were tuned in for the launch of the Surface Pro 4, Microsoft’s highly anticipated hybrid, the company surprised everyone with the launch of yet another Surface device. While the Surface Pro 4 came with its fair share of impressive performance specifications that include a massive 16GB of RAM and 1TB of storage, the Surface Book from Microsoft is a device that performs at an entirely different level. Microsoft’s taken the concept of the hybrid from the Surface Pro lineup and molded it more into the notebook frame, with some high level specifications. What are these? Let’s take a look below. While the Surface Pro 4 from Microsoft was all about refining the lineup and making sure its specifications remain unparalleled in similarly categorized devices, the Surface Book is an entirely new product lineup in its own aspects. At its launch event today, Microsoft compared its Surface book directly to Apple’s MacBook Pro, to demonstrate how far the company has come in terms of hardware. 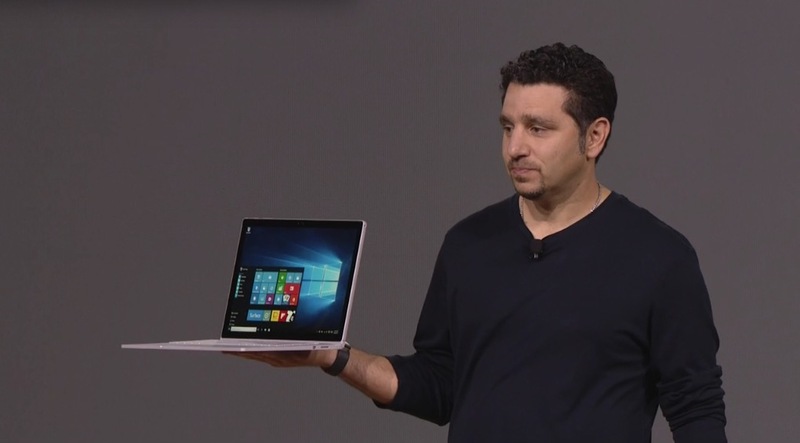 The Surface Book comes with a 13.5 inch screen size that displays 6 million pixels at a density of 267ppi. While we’re going to have to wait for some official specifications to be more clear about the details, for now the Surface Book comes with some impressive specifications of its own. Microsoft’s laptop comes with Nvidia’s GeForce coupled with GDDR5 and 12 hours of battery on board, which when compared to the MacBook, puts the Surface Book quite ahead indeed. In fact, Microsoft was so eager to show off the device’s graphics capabilities, that the company even ran a demo of Adobe’s Premier Pro to show you how good the Surface Book is at rendering. 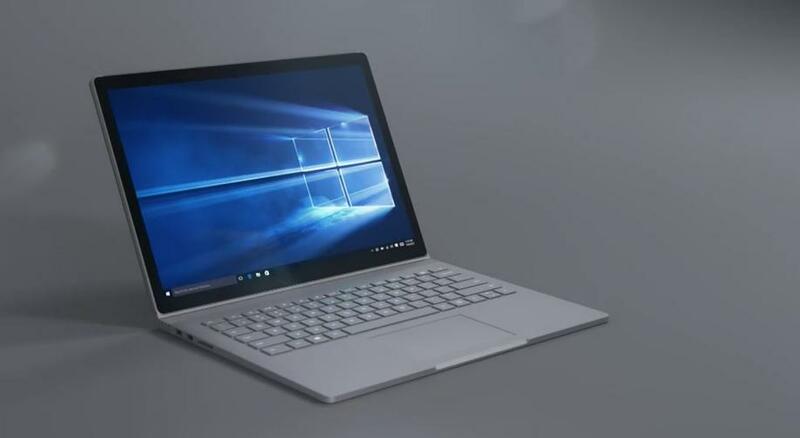 The company also claims that the Surface Book is twice as fast as the MacBook Pro and given its size, a lot of consumers should be persuaded to look for alternatives for Apple’s ultra thin notebook launched earlier this year. The Surface Book’s precision glass trackpad comes with 5 points touch and 1.6 mm of travel on the keys. Oh, and for all of you still big on portability, the Surface Book also comes with a detachable screen on board so you can quickly transform it into a tablet for efficient use. The device is 7.7 mm thick and 1.6 lbs in weight, which marks some tough competition for the MacBook Pro indeed. So that marks our cover on the Surface Book. Let us know what you think in the comments section below and stay tuned for the latest. *Correction: Microsoft compared the Surface Book with the MacBook Pro instead of the MacBook. The post has been updated accordingly.